This was a vivid BLUE beauty from Chessington Garden Centre, a Hybrid. 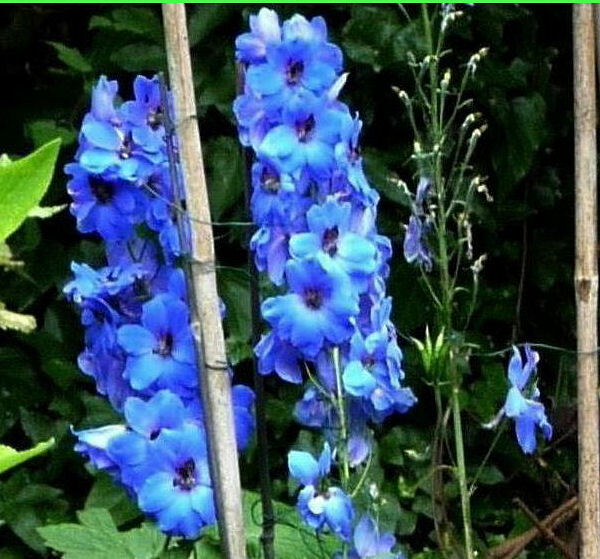 Unlike the native Larkspur (Delphinium ajacis), which has WHITE, PURPLE and BLUE flowers and is pollinated by bees, no bees fancied this Delphinium. Perhaps some sort of insect repellent was bred into it. In our small wildlife garden this hybrid took up space that another flower could have used to bring in the pollinators. Next time, no hybrids. A native Larkspur, if possible.